Organic Danish butter made the old way that made Danish butter truly world famous for its taste and quality. Dairy knowhow built over 130 years made this. We are churning our organic cream into butter, not pressing it. 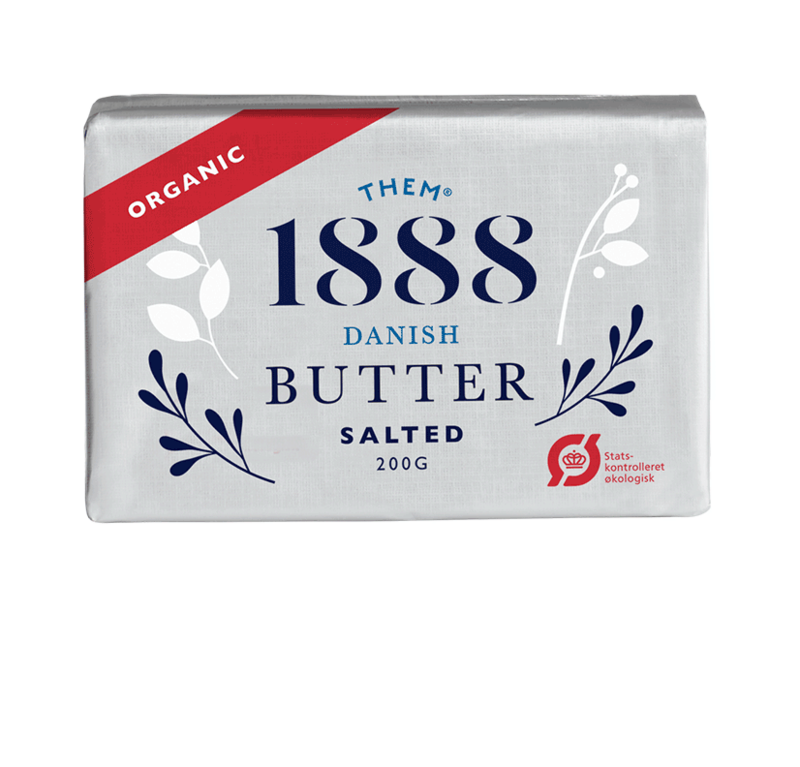 If you wonder how Danish butter became so famous, try Dairy1888 organic butter and you will know. Danish butter is a loved and used all over the world from frying and baking to roasting and spreading on your favourite dark, white, soft or crunchy bread.